Boasting an eclectic and modern style, The Clift is a cosmopolitan property is situated in the popular Union Square area of San Francisco. 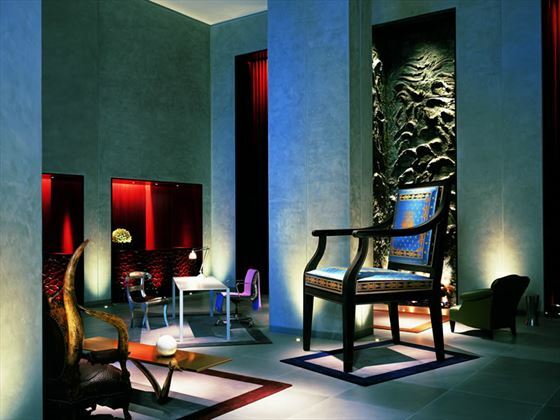 Fusing old-school glamour with chic décor, designed by Philippe Starck, this is an inspired hotel that serves as a unique base for your city break. The rooms and suites are spacious and elegant, providing a relaxing respite at the end of a long day of sightseeing. The famous Redwood Room is the perfect place to unwind at the end of the day, with DJ sets and innovative cocktails served in this legendary venue. Breakfast is served in the Velvet Room and there’s also a drawing room-inspired lounge if you simply want to relax. The location of The Clift is fantastic for sightseeing and making the most of the many delights of the city – you’ll find yourself within easy reach of San Francisco’s top attractions, restaurants and nightlife. The Clift is situated in the heart of Union Square, within easy reach of the top restaurants, nightlife and shops of this vibrant area. The famous cable cars are close by, as well as plenty of arts and culture to explore. 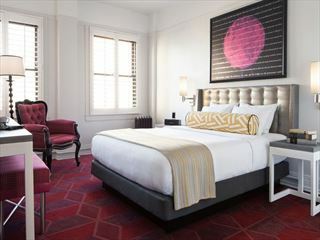 Located just a few blocks from Union Square, the Tilden (formerly known as the Mark Twain) hotel fuses modern style with historic touches, creating a charming boutique property in a prime setting. 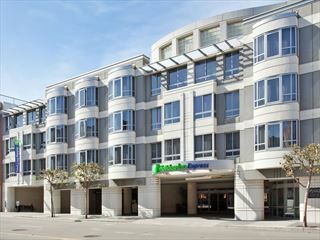 Staying at this location puts you in the heart of Fisherman's Wharf and within walking distance of Ghirardelli Square, the Cannery, Pier 39, Aquarium of the Bay and the Wax Museum. 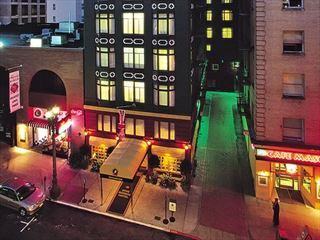 Experience comfort and style in downtown San Francisco at The King George Hotel, located in Union Square - an ideal hotel to return to after exploring the 'city by the bay'.